Our goal is to connect people with the best local experts. We scored home appliance repairmen on more than 25 variables across five categories, and analysed the results to give you a hand-picked list of the best home appliance repairmen in Boston, MA. Offering same day service to Boston residents, All Brands Appliance Repair is trained to work with all major brands, including Samsung. They specialize in gas appliances, refrigerators, and ovens, and have been repairing large kitchen and home appliances for more than 40 years. All Brands is a family-owned company that provides 24-hour emergency repair, senior and military discounts, and free service call with repair. Alpha Appliance Services is fully insured and offers repair work throughout Metro Boston. They are experienced fixing broken refrigerators, ranges, air conditioners, bottle coolers, washers, dryers, stoves, and more, and can also install appliances into area homes. Their technicians are all factory trained and certified by the EPA, PSA, and ASE. Based in Melrose and serving the Boston Metro area, Alpine Appliance Repair is a family-run business with more than 25 years of experience. They work on refrigerators, washers, dryers, stoves, disposals, and more. They are fully insured and take pride in their affordable service, providing a senior discount and a free service call with repair. American Appliance provides guaranteed repair work and appliance parts to Metro Boston residents. Family-owned and operated since 1956, they offer same day repair work on refrigerators, freezers, washers and dryers, garbage disposals, dishwashers, and more. They are licensed for warranty repair on many major brands, including Whirlpool, Maytag, Jenn-Air, Ikea, and are experienced with other brands such as Bosch, GE Frigidaire, and Viking. They are a Better Business Bureau accredited company. Appliance Repair care has offered its services in and around Malden area for more than 15 years. They repair refrigerators, washers, dryers, ranges, stoves, dishwashers, freezers, icemakers, and more. They promise affordable and comprehensive service and are licensed to service most major brands, including Maytag, Whirlpool, KitchenAid, Kenmore, SubZero, and more. Around Town Appliance Repair specializes in domestic appliance repair in Boston. They have experience servicing washers, dryers, dishwashers, garbage disposals, ovens, and stoves, as well as commercial coin-operated appliances. Their technicians are fully licensed and insured, and they only install new, manufacturer recommended parts. Around Town Appliance Repair promises customers competitive prices on troubleshooting, diagnosis, and repair work. At Your Service Appliance Repair promises flexible scheduling and clean, courteous technicians to their Boston customers. The company is locally-owned and trained for most major brands, including Bosch, KitchenAid, Maytag, and Whirlpool. They guarantee their repairs for 90 days and are available to fix refrigerators, freezers, ovens, garbage disposals, washing machines, stovetops, and more. At Your Service won the Angie’s List Super Service Award in 2013, and past customers praise the company for being on-time, honest, and skilled. The team takes immensive pride in their reputation for high customer satisfaction. Boston & Cambridge Appliance Repair has served homeowners, business owners, and landlords for more than 10 years. They provide same or next day service, specializing in large appliances, coin-operated laundry, high-efficiency washers and dryers, dryer vent cleaning, and routine maintenance. Trained to service Samsung, LG, Maytag, Frigidaire, and more, they company was named Best of Boston in 2008 by Boston Magazine. They have won the Angie’s List Super Service Award for 10 years in a row and are accredited by the Better Business Bureau. CS Appliance Services is available for residential and commercial repair work throughout Massachusetts. The company is accredited by the Better Business Bureau and has been locally-owned since 1983. Their trained technicians are available 24/7 for emergencies and are experienced fixing both gas and electric appliances, including stoves, dryers, washing machines, and ranges, as well as freezers, refrigerators, and disposals. They are also available to install and diagnose issues, working with most major brands. Specializing in kitchen and home appliance repair throughout Metro Boston, Factory Appliance is available to fix all makes and models. They take pride in their reliable, affordable service, providing customers with a two-year warranty, senior and new customer discounts, and money off for lateness. They are fully insured and licensed, and all technicians are factory trained to repair gas and electric ranges, ovens, washers, dryers, dishwashers, and more. Greg Rogers Company has provided appliance repair to Boston area families since 1958. They are a licensed Maytag dealer, but can service all appliance brands in-store or at their clients' home. The company keeps detailed records for each customer and provides a full itemized list of work with every receipt. They specialize in helping people repair their own appliances, carrying more than 5,000 parts and providing diagnosis and repair consultation. Hansen Appliance Service has repaired major home appliances in the Boston area since 1986. They carry an A+ rating from the Better Business Bureau, and the owner and operator is licensed to teach appliance repair at vocational schools. They work on all makes and models, and are available for same and next day service. Open since 1963, Harrison Refrigeration & Appliances is a Boston family-owned business. Originally a refurbished appliance retailer, they now provide appliance repair and parts, and sell new and used appliances. The company offers flat rates and flexible scheduling, guaranteeing all their repair work. They also provide appliance delivery and installation. HUB Appliance is a locally-owned Boston company that has more than 25 years of experience in appliance diagnosis, installation, and maintenance. They promise flat rates and a two-year warranty on all parts and labor. HUB Appliance's technicians are trained to work on most major brands and are available to fix broken refrigerators, stoves, air conditioners, ranges, dishwashers, dehumidifiers, grills, hoods, and more. Providing professional service throughout Metro Boston, Peter De’s Appliance Service has been open since 1989. They are a locally-owned family company that promises same-day service, flexible appointments, and competitive rates. The technicians specialize in fixing gas appliances and performing dryer cleanouts, but also have extensive experience with broken refrigerators, ovens, stoves, microwaves, washer/dryers, and more. They are experienced with most major brands, including Sears, GE, KitchenAid, Kenmore, and Maytag. Local Boston appliance repair company, Poirier Sales & Service Corporation, has more than 100 years of combined industry experience. Their technicians are all factory trained and certified for most major brands, including Bosch, Maytag, Whirlpool, GE, and more. Poirier has an in-house parts department and takes pride in providing fast and thorough appliance repair services. They are available to fix refrigerators, freezers, ovens, hoods, washers, dryers, trash compactors, and more. For more than 25 years, Pro Tech Appliance Repair has specialized in commercial and residential refrigeration, as well as large and small home appliances. The Boston repair company is CFC certified and technicians are factory trained for most major brands, including Maytag, Whirlpool, LG, American Standard, and KitchenAid. They promise customers affordable service, offering flat rates, no hidden fees, and warranties on parts and labor. Salute Appliance Service is a family-owned and operated business in Boston that has over 15 years experience of providing domestic appliance and air conditioning repairs to all the communities within a 50-mile radius of Boston. They service and repair all makes and models of appliance and offer same-day service, a guarantee on all parts and labor, and military discounts. Reviews speak of the company doing an excellent job in a short amount of time and at a reasonable price. 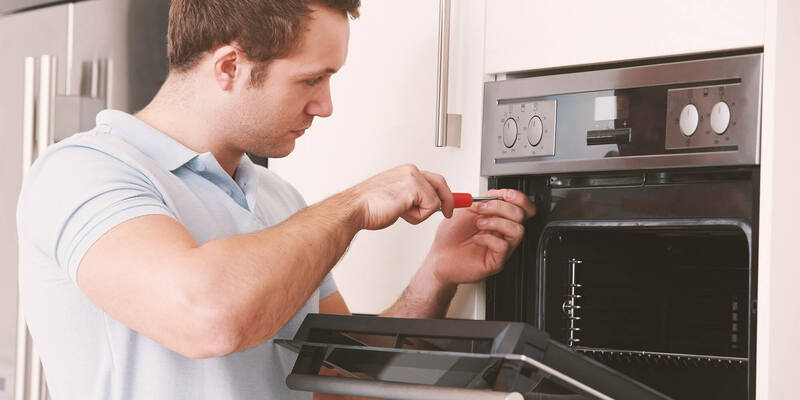 Providing installation and repair in the Boston area, Supreme Appliance Service is also available to diagnose broken refrigerators, stoves, ovens, washers, dryers, and more. The technicians are factory trained for most major brands, including GE, Thermador, Bosch, and Five Star. The company also works with extended warranties like Assurant Federal Warranty, Warrantech, Maytag Dependability, American Home Shield, and Sensible Home Warranty. Washer&Dryer Services Boston is a professional appliance repair specialist in Boston, Massachusetts that serves clients in the surrounding metropolitan area. Locally owned and operated, the company started out in 1983 and now has technicians with more than 100 years of combined industry experience. With telephone support available six days per week, Washer&Dryer Services Boston repairs a range of appliances that includes refrigerators, freezers, heating and air conditioning units, air cleaners, dishwashers, and more. The company services all major makes and models of appliances and is praised by former clients for the speed and reliability of its repair work as well as its technicians' ability to diagnose problems.